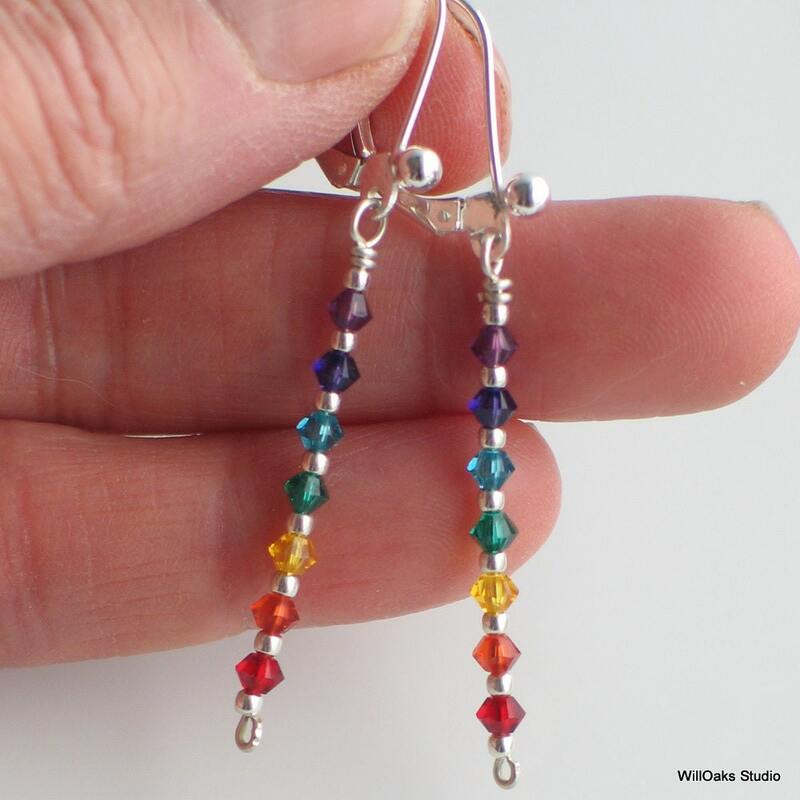 Yoga Chakra Crystals on Sterling Silver Dangle Earrings, Rainbow Earrings, Yogini Earrings, Colorful Jewelry. A handmade headpin of heavy sterling holds a Chakra themed stack of Swarovski crytals with tiny sterling beads as spacers. 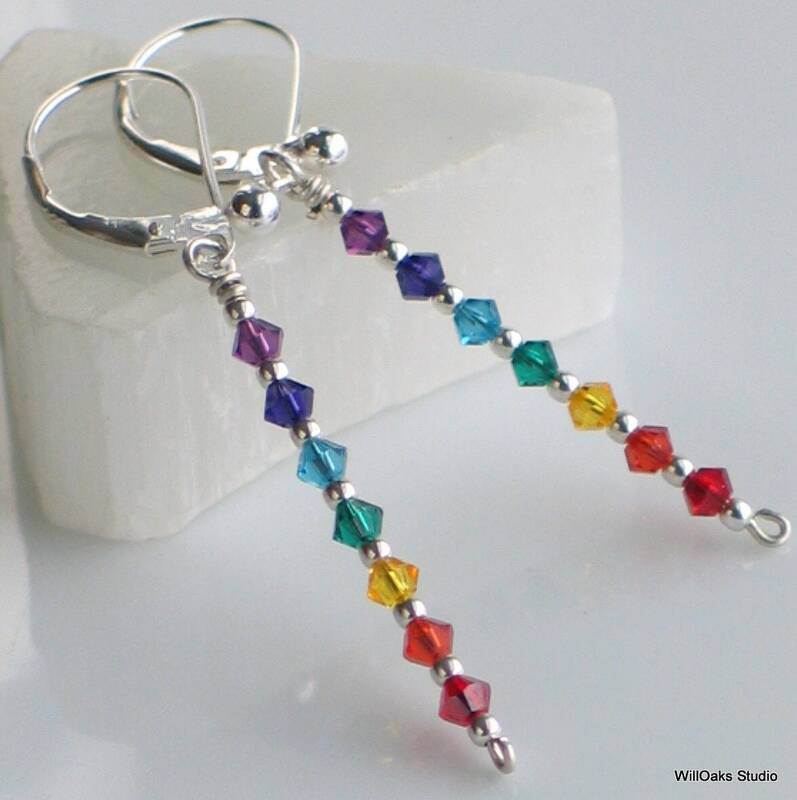 Sterling latch back ear wires let them swing and dangle safely and freely so the lovely colors and facets can catch the light from all directions. 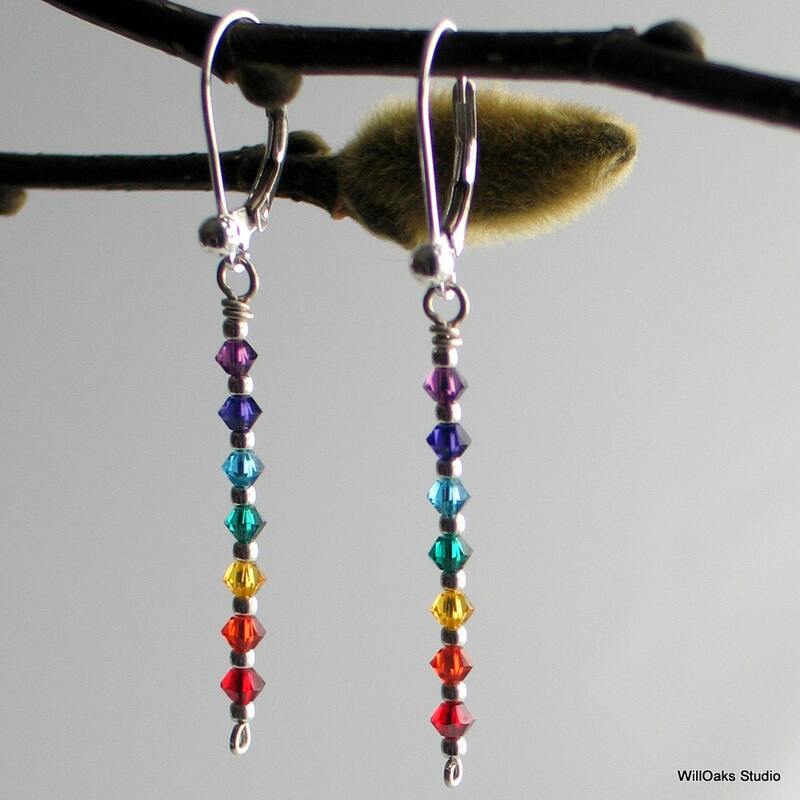 The 3mm Swarovski bicone crystals are in the 7 colors of the Chakra-a yoga concept of the body. Maybe it looks like a rainbow or prism depending on the viewer? The high quality sterling latch back ear wires close with a hinge, making an earring that is secure and can't catch on hair or clothing. 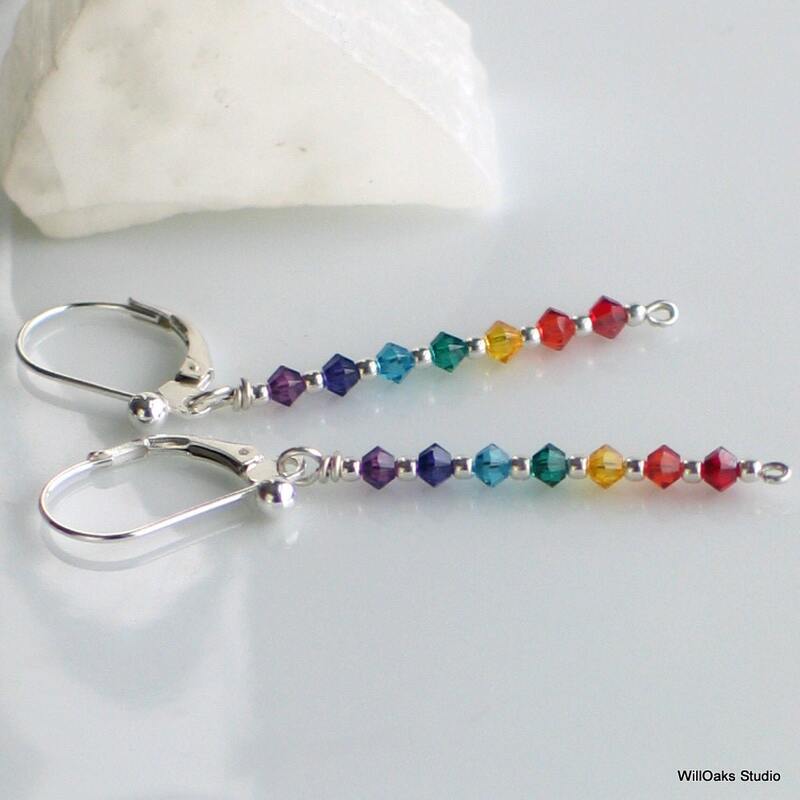 For the yogini in your life, for the woman who loves rainbows and prisms and bright primary colors, these are fresh, unique earrings, light as a feather, and sure to provoke smiles throughout your day. I used this theme in the 4 different styles of pierced earrings & 2 pendant styles. 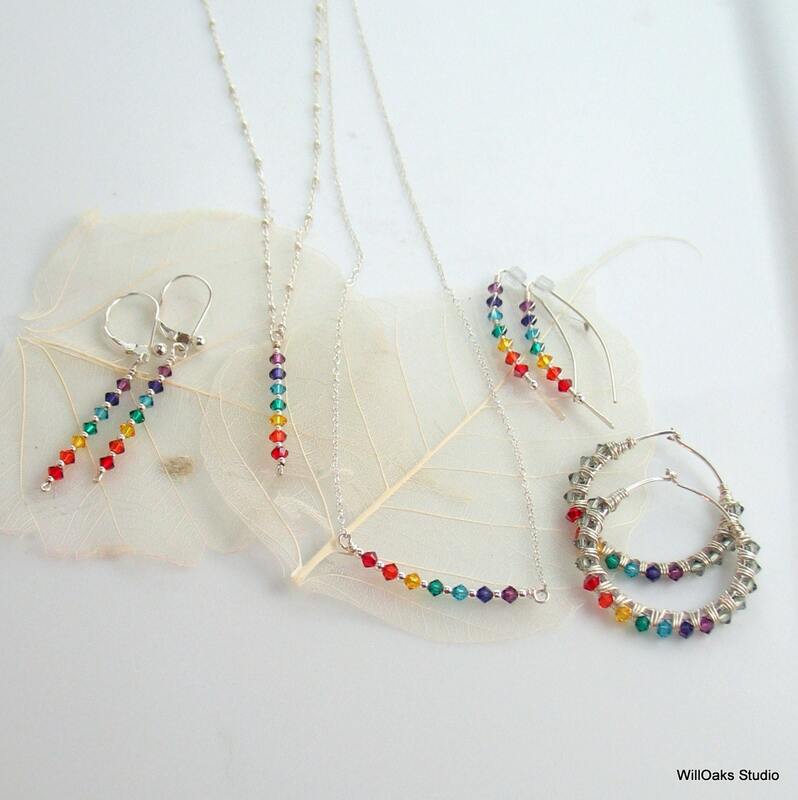 WillOaks Studio earrings are packaged in either signature gift boxes or velvet bags for giving and for storage.